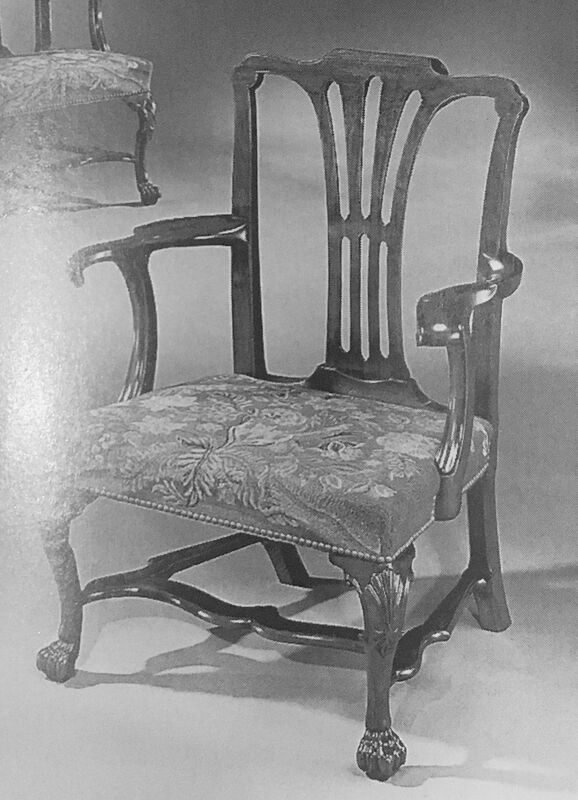 This entry was posted in Seating and tagged Irish, mahogany, side chair, stuffover, walnut. Bookmark the permalink. Hello Jack, I’m glad you are feeling better…enough to get back to work on some projects in your Proposed Furniture Program. This sounds like an interesting new project…..Looking forward to following it. Likewise. These builds are among my favourite things on the web. Don’t hold your breath; this is going to be a slow one. 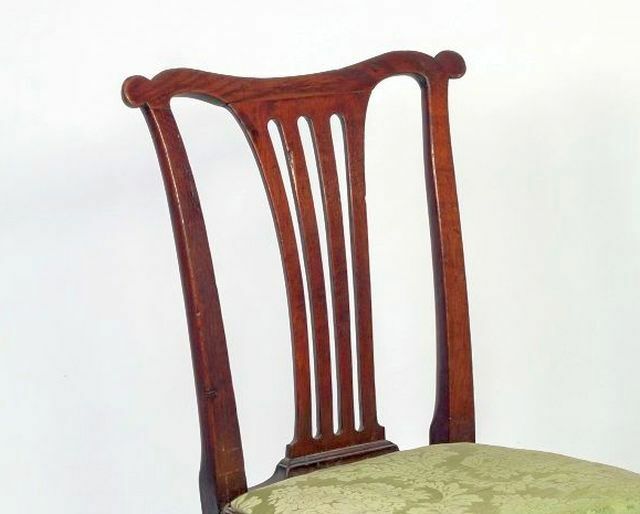 I have an interesting mahogany piecrust tilt top wine table that has three talon claw (similar to claw and ball) legs .That I would like your opinion about.Is it an English table or maybe American? How do I attach images on this site? And would it be okay to send you the images. I write this blog primarily for my own amusement. You can not upload images to the blog and I don’t offer a consultation service. You might try contacting the Australian Antique & Art Dealers Association for an appraisal. I was not wanting an appraisal ,I was asking for an opinion about country of origin. It is great that you have the blog for your own amusement,I hope you are enjoying your self. 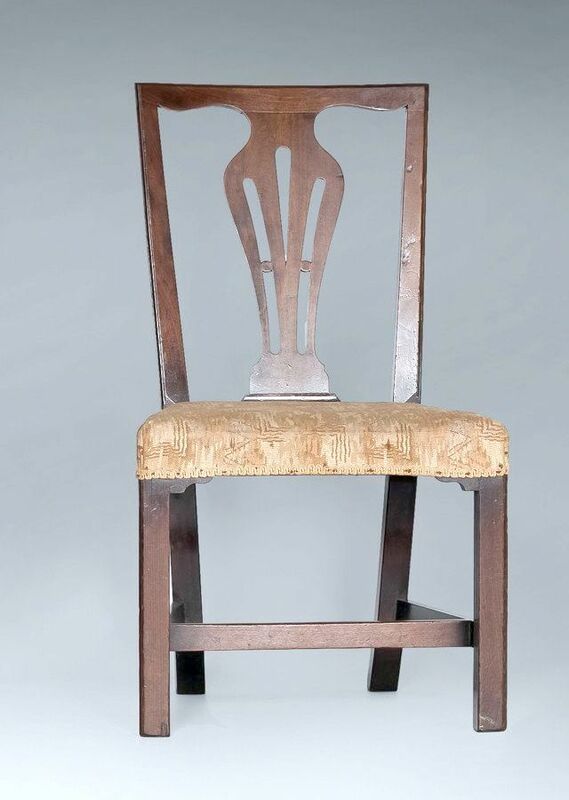 What will you be using for upholstery type? Webbing or solid wood base? Springs, horsehair, foam rubber or modern foam? 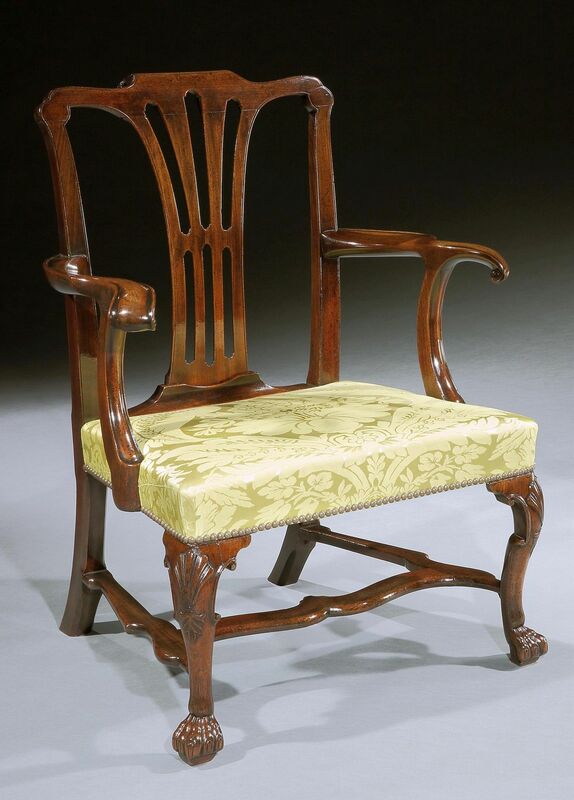 Side question – what is the earliest chair or settee you have seen that uses original springs? 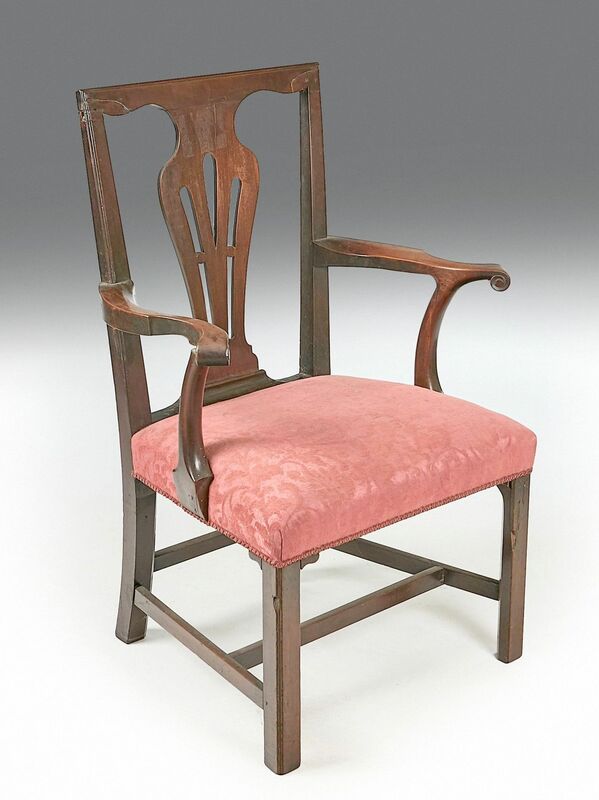 These mid-eighteenth-century chairs will be upholstered in the correct fashion and materials of the era, viz. 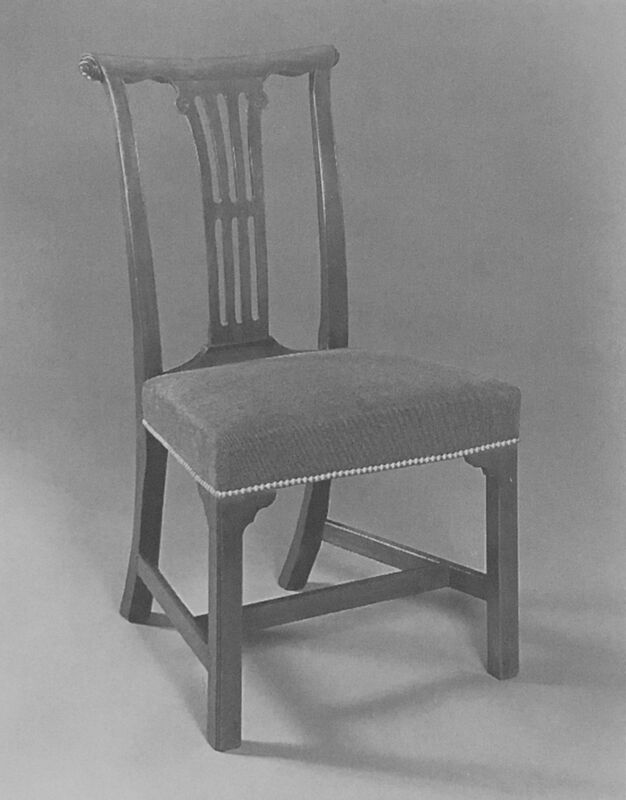 linen webbing nailed over the seat rails, then tightly woven hessian followed by horsehair, cotton wadding within a stitched edge and covered in calico or fine linen. The outer nailed cover will be chintz/damask/plain linen/palampore (I haven’t decided yet). There will be no cover attached to the underside of the rails i.e. 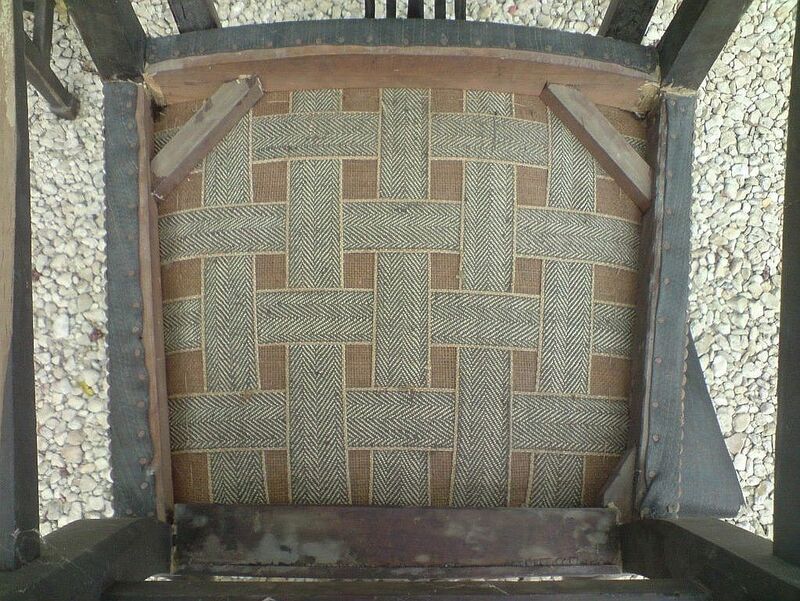 when upturned, the webbing/hessian will be visible. 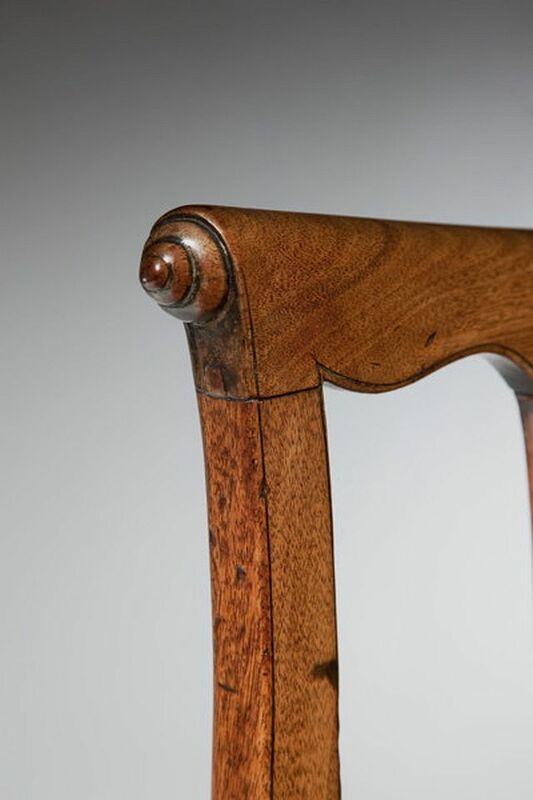 Sprung seats, as we know them now, appeared in the late 1790s, but with mass production of coil springs, became widespread from the early 1830s. Hello Jack, thanks for the useful information. I notice in images 06 and 07, one of the arms has a wide “mesa” near the joint, and the end comes to a point. Can you explain these please? There’s not much to explain here I’m afraid. 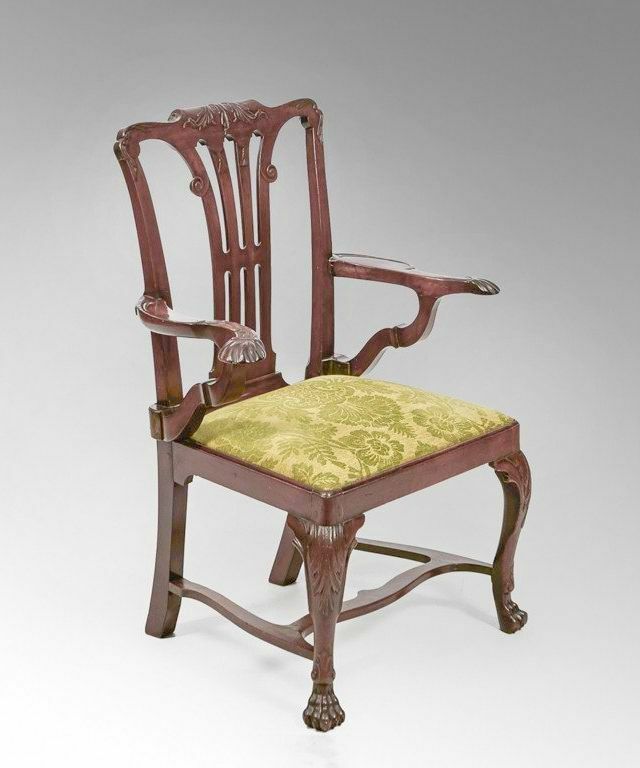 The arms are fairly typical of the era and genre of chair. Despite their convolutions, I can report that they are quite comfortable in use. The large areas that i think you perceive as flat, are in fact, heavily canted inwards to accommodate the forearms of the sitter.